My grandfather started Boldrocchi in 1909 as a fan company. Over a hundred years later, Boldrocchi Group has become a world-renowned engineering, manufacturing and service firm with products in over 140 countries and offices in eight, including our headquarters near Milan, Italy. It is among the few companies in the world that offer a wide-ranging portfolio of solutions that includes fans, blowers & compressors, air pollution control & environmental solutions, heat exchangers & coolers, gas turbine systems & noise protection and heavy-duty process dampers, among other equipment. At Boldrocchi, we pride ourselves on being forward-thinking experts and tailor-making each solution for every client. We put quality first. Quality when it comes to our technical advice, engineering solutions, manufacturing, testing, installation, commissioning and service. We want the Boldrocchi name – my family name – to remain synonymous with the highest quality products, solutions and service. Boldrocchi was founded in 1909 in Milan, Italy by engineer Luigi Boldrocchi. Over a century later, the company has matured and expanded yet remains in the Boldrocchi family, who continue to put quality and customers first. Boldrocchi began as a centrifugal fan company and its influence was seen from the start. In 1911, Eng. Boldrocchi opened a 6,000 m2 (65,000 ft2) manufacturing facility in Milan, which was later moved north to the company’s current location in Biassono, Italy. In 1914, before most countries even had environmental emissions legislation, Boldrocchi again proved itself forward-thinking, starting to sell air filtration equipment to reduce fumes in and around plants. In 1927, the company purchased a license from the United States to produce embedded finned tubes, still a core part of the business today. 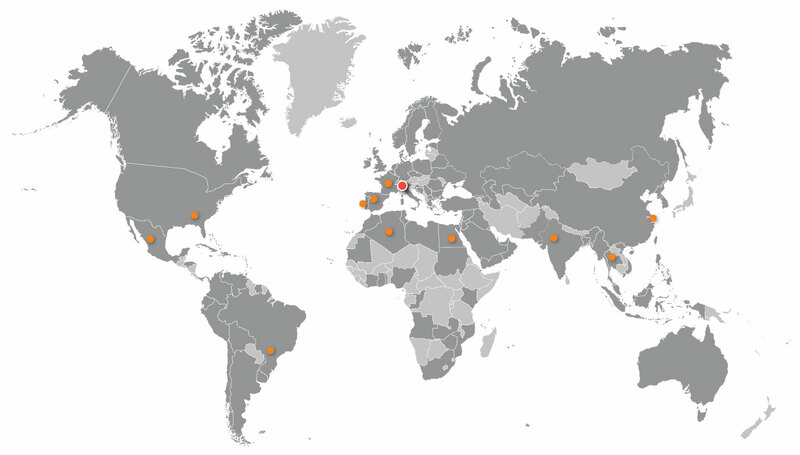 Boldrocchi has continued to grow in every sense since, expanding its expertise, product portfolio, manufacturing & testing facilities and global reach, as well as establishing international offices around the world. Boldrocchi is the oldest and most experienced fan manufacturer in the world, founded in 1909 as a fan company. We are a worldwide leader in the production of tailor-made industrial heavy-duty fans with installed power of up to 10 MW (13,000 hp) and our wide production capabilities include centrifugal (radial) fans, blowers, compressors and axial fans. We customize over 80% of our fans to achieve our customers’ specific objectives. Boldrocchi has been manufacturing coolers since 1931. We tailor-make each of our heat exchangers and coolers to our customers’ specifications. We are also specialists at analyzing your process parameters to find you the optimal process or machine cooling solution. We provide custom-made high-quality solutions for entire systems around coolers including the air intake, exhaust, ventilation, filtering, noise control systems and various electronic devices. 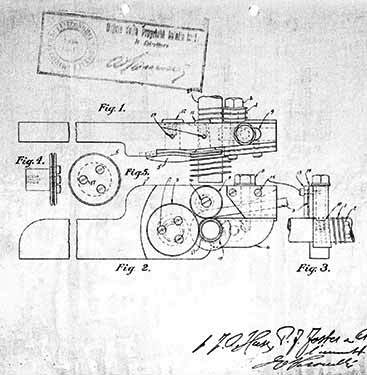 Boldrocchi began engineering air pollution control systems in 1914. Our dust removal solutions achieve nearly zero emissions: 0.1 mg/Nm3 (0.06 gr/ft3). Our flue gas treatment solutions remove: dust, acid gases, nitrogen oxides, sulfur oxides, mercury, furans, hydrochloric acid, dioxins and other heavy metals. We offer everything needed to meet or surpass all air emission regulations worldwide. Boldrocchi has been engineering and manufacturing gas turbine, turbo machinery and compressor auxiliaries, as well as noise protection, for over 55 years. Our equipment and expertise can be found in thousands of power generation, oil and gas, offshore and gas transmission operations around the globe. We have a considerable track record in both greenfield installations, and high quality upgrade and retrofit solutions. Boldrocchi tailor-makes dampers of any size, up to 7m x 7m (23’ x 23’), shape (square, rectangular, round, etc. ), with any activation system (manual, electric or pneumatic). Our specially engineered single blade diverters & tandem dampers ensure 100% gas tightness, even in high temperature, high velocity environments. Our technical strength and problem-solving capabilities extend to Boldrocchi’s Service & Retrofits team. Complementing Boldrocchi’s engineering, manufacturing and testing core, this team offers you on-site support and advice, rounding-out Boldrocchi’s truly turnkey capabilities. Our experts are familiar with Boldrocchi equipment & systems and offer maintenance services on other brands as well. For over 45 years, Boldrocchi T.E. has specialized in designing and building industrial cooling towers and evaporative coolers. Their systems are extremely robust and reliable and are made for specific & heavy-duty uses, often used as heat recovery systems. Boldrocchi T.E. also provides a consulting service staffed with highly knowledgeable personnel with experience in numerous types of systems and diverse production types. De Cardenas Fans & Service manufactures small and medium sized standard duty industrial fans, both centrifugal and axial. They engineer and create custom-made fans for almost all standard-duty industrial applications, including oil & gas, steel production plants, foundries, chemical & fertilizer plants, industrial boilers, paper & glass production, as well as tunnels and metros/subways, among others. De Cardenas, located in Arcore, Italy, can also provide a readily available service team worldwide for start-up, maintenance and revamping.